Last week we took a look at 5 Reasons Why You May Have Your Approach To Analytics All Wrong. At the end of the post I was keen to make it clear that I do not consider analytics redundant. Far from it in fact – effective analysis of analytics can make all the difference between running a highly trafficked website with a healthy conversion rate, and a site that is forever doomed to remain stagnant. It is how you utilize analytics that determines its effectiveness. A great number of people out there are taking a completely backwards approach to analytics analysis. If you are concerned that your approach to analytics is more guesswork than anything else, keep reading. As we covered last week, people attach a great deal of importance to metrics such as bounce rate, time on site, and page views. Those metrics are useful at times – most notably when used to gauge the “performance” of one particular page against another – but you’re probably not focusing on what is truly important. I am talking about conversions. Unless you are running a blog purely as a hobby, you should have an ideal end result in mind every time someone hits your site. It could be a sign up to your email list, or a sale – but there must be a specific goal. Having a huge number of people hit your site is one thing, but if none of them are converting, you have gained nothing. A small number of high-converting visitors is equal to or better than a large number of low-converting visitors. Most of us have an unhealthy obsession with the number of people who visit our site – what we really should be obsessed with is the number of conversions. That is far more important. Setting up goals in Google Analytics is not complicated. 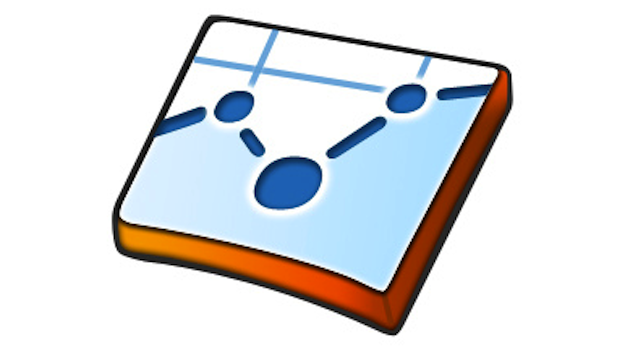 Just check out the Google Analytics Help Center for more information. People will leave your site – that is a foregone conclusion. What you want to do of course is minimize the percentage of people who do so. I’m not talking about bounce rate – I’m talking about exit pages, which can be found under “Content > Site Content” in the Google Analytics sidebar. Any page which is specifically intended to encourage the reader to explore your site further. Examples would be your homepage, category pages, your about me page, and so on. Any page which has an unusually high exit rate. Once I have identified such pages, I can make alterations and then compare the results against old figures to see if I have increased the “stickiness” of the page. This report should be sorted by number of exits, because you only want to focus on pages where you can make adjustments that will have a notable impact. However, don’t be fooled by the top results. For instance, in the above screenshot my homepage has the most exits out of any page on my site. But it also attracts by far the most number of visits, and if you look in the “% Exit” column you will see that it actually has the lowest exit percentage out of the top 10 pages. Whilst I could still work to improve the “stickiness” of such pages, my attention might be better focused on the 2nd page in the report, with a whopping 78% exit rate. It is all too easy to forget how your visitors may view your site. Ensuring compatibility across multiple platforms is often overlooked, but doing so can be to your detriment. As you can see, mobile users accounted for nearly 15% of visits during this report’s timeframe – a considerable proportion. We can also see that the basic measurements of engagement are all fairly comparable. This is one example of where metrics such as bounce rate and time on site can be of use – in comparing one type of visitor against another. Although my site is not optimized for mobile users in any specific manner, I can rest assured that the mobile experience is apparently no more detrimental for that fact. If I were to see dramatic differences in the above metrics, I might think more about creating a fully responsive design. Most people have heard of the Pareto Principle, which theorizes that 80% of the effects come from 20% of the causes. You may be wondering how this relates to attracting more traffic to your site. The concept is simple – you identify your top traffic sources and ensure that you are leveraging them to their maximum capacity. We will ignore the top result, as we have no way of knowing how direct traffic is split up. Below that we have 9 other sources on the first page of the report to consider. The key is in recognizing the source that offers the least path of resistance – i.e. the sources that you could have the biggest impact on with the least effort. For instance, we can see that WPMU is the 6th highest referral source in the report. I know that these referrals come from the byline in the articles I write for that site. I could spend just a minute or two adjusting the copy in the byline to see if it increases the number of referrals to my blog. In this way I can potentially boost traffic with very little work. Another example could be RSS, which is the 4th highest referrer on the list. It would be reasonable to suppose that I could increase traffic to my blog by making the RSS subscription button more prominent (as it stands, it isn’t particularly noticeable). The point is that you should be taking the path of least resistance to greater traffic. Thanks go to Traffic Generation Cafe in originally introducing the basis of this concept to me. Checking your analytics regularly is a bad habit, plain and simple. There is no apparent benefit, in my opinion, to checking your analytics on a daily basis. Take a look at the above recommendations – all of them rely upon large sample sizes. There is no point in making adjustments to a poorly performing exit page on your site if the sample size isn’t large enough to draw an accurate conclusion from. Assessing the conversion rate of a specific goal is pointless if you only have 10 conversions. Making snap decisions on limited data is just as likely to end up in you taking damaging action than doing good. Although the concept of only checking your analytics once per week may seem completely alien, you may wish to ask yourself what benefit you are getting out of doing so more often. How Do YOU Use Analytics Effectively? Although we have outlined some key ways in which you can effectively use analytics above, we are only scratching the surface. So don’t be shy – what methods do you use to analyze analytics effectively? Let us know in the comments section! Tom, thanks for the great post on effectively using web analytics! I especially enjoyed the advice about leveraging Top Traffic Sources. I think this post, 7 Habits of Highly Effective Analysts, complements this post perfectly.